As BBC Two’s Icons: The Greatest Person of the 20th Century reaches its conclusion, we take a look at how some of the iconic winners have been represented in art. The eight-part series celebrated the achievements of some of the most influential figures from the last century. Here are the figures who won each of the categories, as voted for by the British public. Nelson Mandela (1918–2013) was South Africa’s first black President, in office between 1994 and 1999. He was also a lawyer, anti-apartheid revolutionary and won the Nobel Peace Prize. Before becoming head of state he was famously imprisoned for nearly three decades following the Rivonia Trial, serving a life sentence between 1964 and 1990 for conspiring to overthrow the state. He was acquitted after a global campaign successfully forced the South African government to release him. According to the public vote, Mandela is the most influential leader of the twentieth century, beating UK Prime Ministers Margaret Thatcher and Winston Churchill, and American President Franklin D. Roosevelt. Ernest Shackleton (1874–1922) was a British polar explorer and pioneer of Antarctic exploration. He led three British expeditions to the South Pole at the beginning of the twentieth century. British portraitist Reginald Eves (1876–1941) painted Shackleton at least three times. Shackleton received more votes than Neil Armstrong, Gertrude Bell and Jane Goodall in his Icons category. Musical icon David Bowie (1947–2016) was voted most influential entertainer of the twentieth century, trumping Charlie Chaplin, Billie Holiday and Marilyn Monroe. 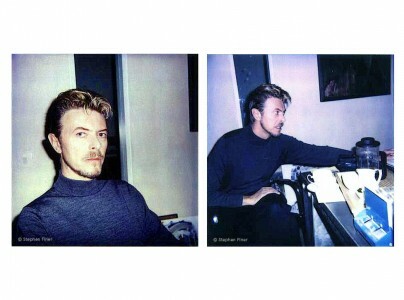 Known for his innovative music from the late 1960s onwards, and with an experimental and flamboyant fashion sense, Bowie was always reinventing himself and ahead of the crowd. His numerous classic albums include Hunky Dory, The Rise and Fall of Ziggy Stardust and the Spiders from Mars, Aladdin Sane and "Heroes", and singles include Space Oddity, Changes, Starman, Ashes To Ashes, Under Pressure (with Queen), Let's Dance and many others! His acting career encompassed a range of film, TV and theatre work, from The Man Who Fell To Earth, The Hunger and Labyrinth to Basquiat, The Prestige and Extras. The world was shocked when he died on 10th January 2016 of liver cancer, the same week his final album, Blackstar, was released. Dr Martin Luther King Jr (1929–1968) was voted the most influential activist leader by the British public, ahead of Mohandas Gandhi, Helen Keller and Emmeline Pankhurst. Before his assassination on 4th April 1968, he was a leader of the US civil rights movement, and advocated nonviolent civil disobedience. His nonviolent activism was ultimately inspired by Gandhi, who initiated nonviolent protest in the fight for Indian independence from British rule. His 17-minute 1963 speech 'I have a dream' is one of the most famous and enduring of the struggle for equal rights for African Americans. The portraitist Sarup Singh (active 1968–2001) who painted this of Dr King also painted Elizabeth II – both are now in Leicester collections. British mathematician Alan Turing (1912–1954) laid the foundations for computer science and also cracked the Enigma code used by the Germans during the Second World War – a discovery which helped the Allies defeat the Nazis. 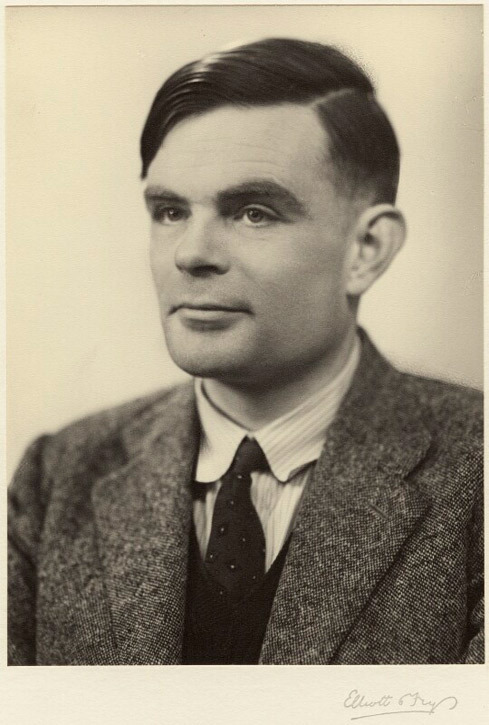 Despite his groundbreaking achievements that changed the course of history, in 1952 Turing was prosecuted for homosexual acts, which were illegal in Britain at the time. He was charged with ‘gross indecency’, fired from the secret service, underwent chemical castration, and publicly shamed. He died of cyanide poisoning, an apparent suicide (although this is disputed), in 1954. In 2009, the UK government apologised for the treatment of Turing. Turing received more votes in his category than Marie Curie, Albert Einstein and Tu Youyou. Muhammad Ali (1942–2016) was an American heavyweight boxing champion and civil rights activist. Born Cassius Clay, he changed his name to Muhammad Ali in 1964 after converting to Islam and affiliating with the Nation of Islam. Image was important to Ali – and he was supremely photogenic. This BBC video gives an insight into how he was captured by his personal photographer, Michael Gaffney. Ali also features in an Andy Warhol silkscreen, part of his 'Athletes' series (1978). Ali beat Paralympic champion Tanni Grey-Thompson, tennis ace Billie Jean King and Brazilian footballer Pelé in Icons' sports stars category. Pablo Picasso (1881–1973) was perhaps the first superstar of modern art – he worked across painting, prints and sculpture and was a key figure of a number of movements and styles, including Cubism. This BBC News video examines the story behind what is perhaps his most famous painting, Guernica (1937), on display in the Museo Reina Sofia in Madrid. 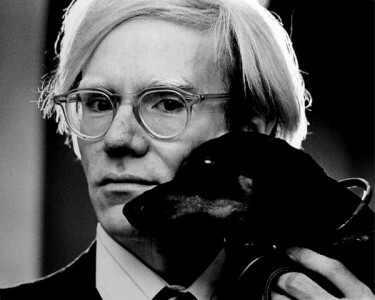 Picasso was voted top of his Icons category, which also included author Virginia Woolf (listen to our podcast on Woolf, feminism and painting), Alfred Hitchcock (listen to our podcast on his relationship with art), and Andy Warhol. The series threw up a few surprises – for example, as you may have noticed, the public vote resulted in no women making it to the final. However, perhaps one of the biggest surprises came during the live final on BBC Two on Tuesday 5th February 2019 which confirmed Alan Turing as the greatest icon of the twentieth century. His work on computers helped to make our digital world possible, without which our modern lives would seem very different indeed.